Be transparent to others so they can see through you, the qualities of God. In the midst of darkness, you lived from the light. Trusting God and the angels to guide you in flight. As we journey with neighbors, please take our hand. Be it in newspaper, house or out on the street. Dear Joseph our brother, friend of the night. 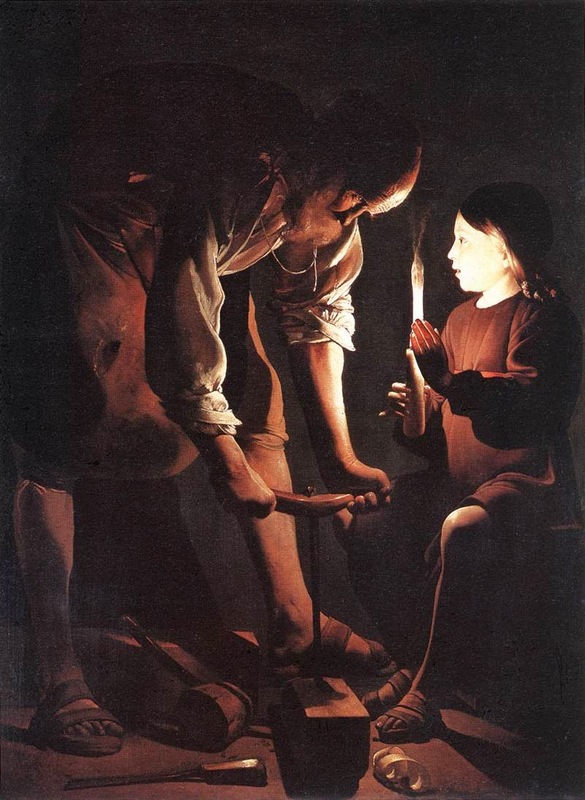 This image of Joseph the Carpenter is from the artist Georges de La Tours and is displayed in the Louvre Museum in Paris. It reflects the light of God coming through the Christ Child reflecting on Joseph. We are the Light o the World. We offer a poem prayer to Joseph our Brother. On this St. Joseph's Day, we celebrate with the Universal Church the first year anniversary of Pope Francis. May each of us shine our light this day and every day on our world so much in need of our lives.